Staff very dedicated and friendly, beautiful rooms and good price for the location (20min by foot from Oia) and bus stop just in front of the Hotel to Oia or Fira. No need taxi service to get there or to make another tour. I like the host (very helpful and kind), the breakfast, the view and the swimming pool. We loved our room. It was spacious, clean, everything we wanted for our stay. 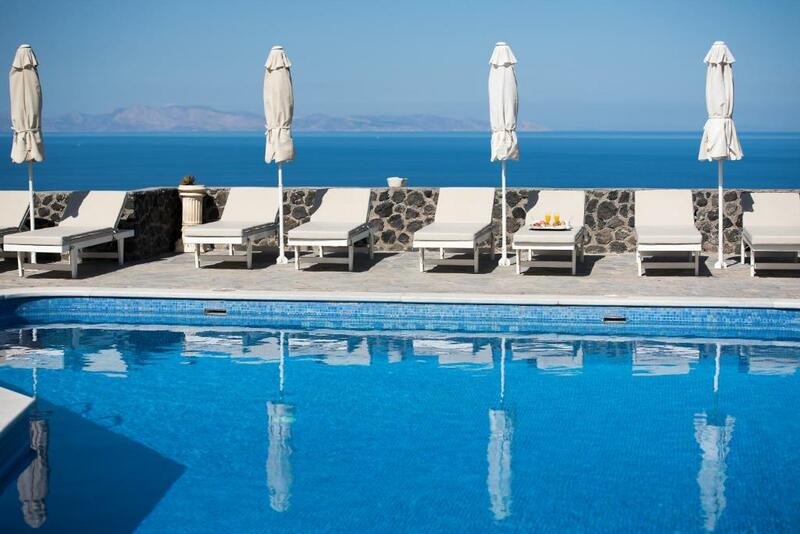 Location, washing facilities, cleanliness, help with airport transportation. Great location. Clean and comfortable. The pool and views were fantastic. Good breakfast and lovely staff. Pool, breakfast, rooftop view of sunset also very quiet. The sunset view from the roof of the reception building was wonderful. The parking was convenient and the bed was comfortable. staff was extremely nice and helpful. pool and view was cool. 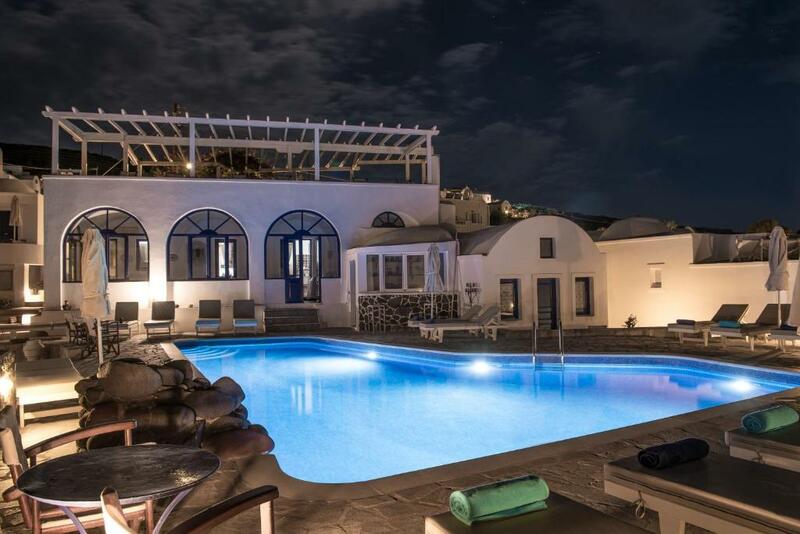 Agnadi Villas, located only 0.6 mi from Santorini’s most picturesque village Oia, enjoy wonderful views of the sunset from their beautiful pool. Each of the spacious self-catering guestrooms is tastefully decorated and furnished. 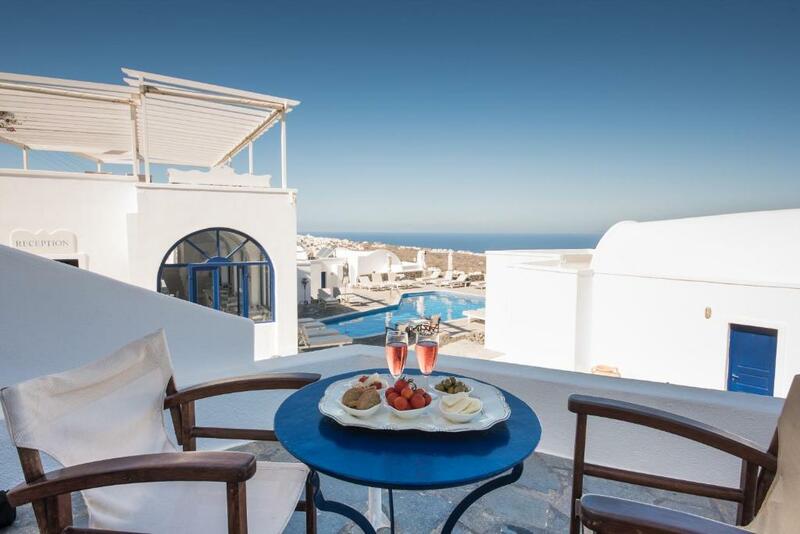 The private balconies enjoy views of the sea and the countryside. The lush gardens and the swimming pool, surrounding the rooms, offer moments of relaxation and rejuvenation. The friendly and attentive staff at hand for tour desk, express check-in or check-out, car hire and internet facilities. The town center is a 20 minutes’ walk from the hotel and there is a bus stop right outside, with busses going straight to the center. 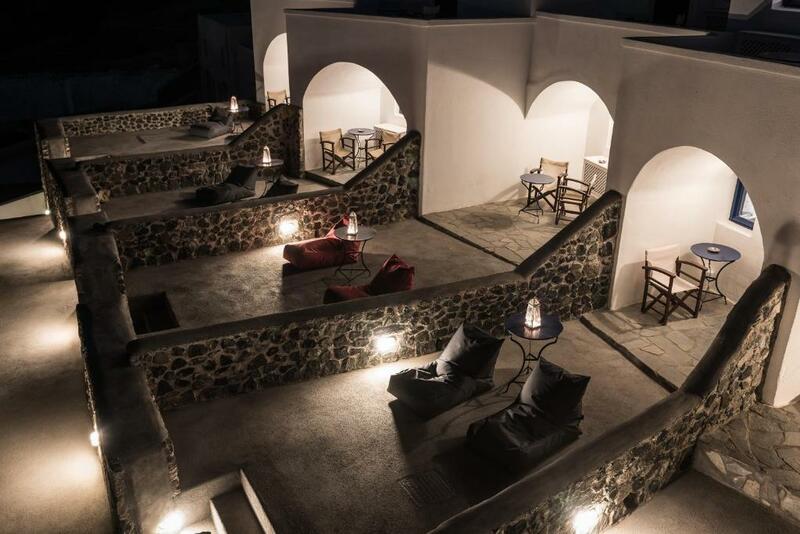 Agnadi Villas also provides free private parking. 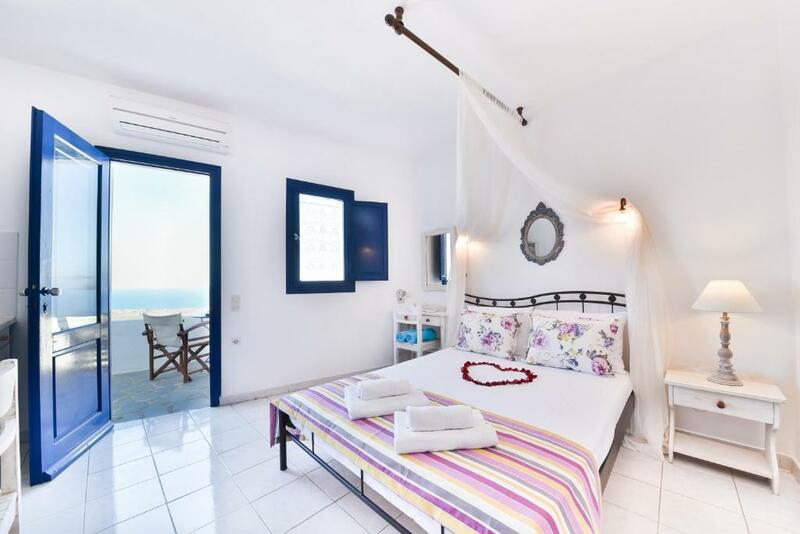 Traditionally decorated studio with a private balcony enjoying sea and pool views. 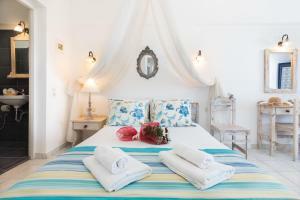 Please note that this room type can accommodate an extra bed upon prior request and availability. Located on the ground floor, this studio includes a satellite TV and a bathroom with a bath or shower. This apartment has a balcony, soundproofing and patio. This apartment has air conditioning, soundproofing and sofa. It opens to a balcony or terrace. Guests using the local bus are requested to ask the driver to stop at the Agnadi Villa bus stop. Coffe could be better. I think it was too simple. Not very comfortable beds, breakfast was the same every day without options. What you pay is not what you get it. My partner and I knew it would be a wonderful stay right from check-in - the receptionist Annie was incredibly friendly and helpful, setting us up with everything we needed including bus routes and island maps, even upgrading us to a balcony room for free! The room was lovely, a spacious but cosy room, clean and with a good bathroom as well. 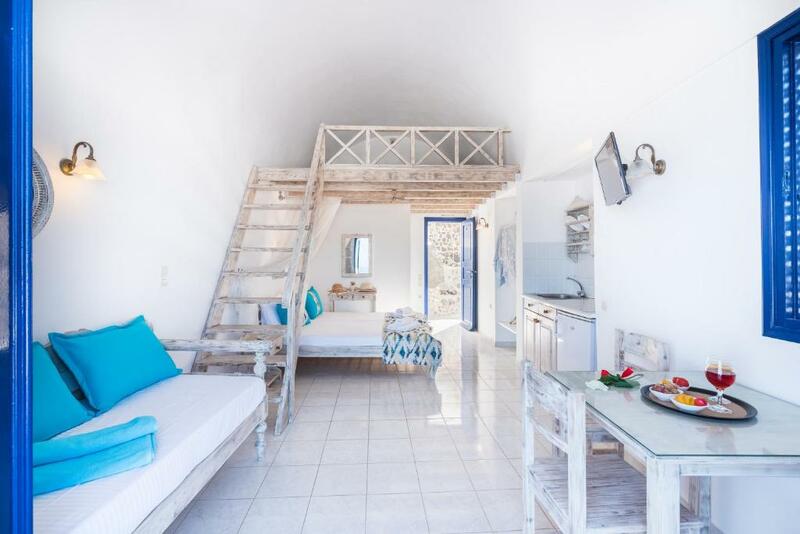 The location is very convenient; located right beside a bus stop that takes you to Fira and Oia, otherwise Oia is just a 15-minute walk away. Overall, it was a super stay. The suite we had could use a little 'colour' - it felt very cold in decor. Some bright cheerful colours would be great. There was a strong smell coming from the bathroom, which is not unusual being close to the sea, but it was unpleasant at times. Some shampoo and bar soap, or a wash cloth to use the shower gel, would be a suggestion as well. Location is wonderful - close to gorgeous terrace to view the sunset. Amazing staff - Annie was incredible. Our patio was also lovely place to relax and enjoy. The pool is nice and refreshing after a day of sight seeing, and breakfast with a view was such a treat. I wouldn't say I didnt like it but breakfast could have been a little bit more exciting, but nothing wrong with what was on offer. Our room was beautiful. 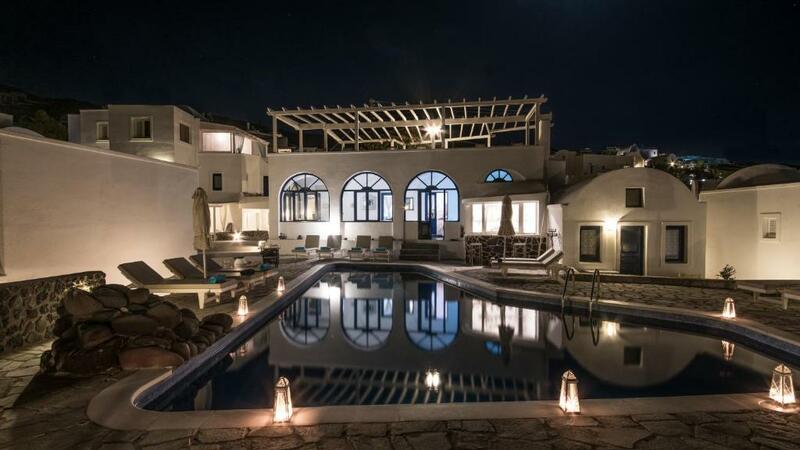 Lovely villa which suited all needs. Really comfy beds, lovely pool area, lovely/helpful staff! 10 minute walk in to Oia, full of shops and lovely restaurants. Bus stop right outside hotel, very handy - takes 15 mins to get to Thira for 1.80 euros. Lovely stay & a great trip. We got the ocean view room but it was mainly other buildings. Only one or two are actually facing the ocean. The staff at location were very friendly and helpful and really made the stay worthwhile. They made us feel very comfortable and ensured that any questions were answered. 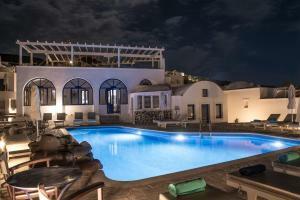 The location is great and a short walk to the main town. Clean comfortable and near buses to get into Oia. Nice pool. A bit overpriced for the time of the year we visited. The girl at the reception was really helpful and gave us tons of information. I hoped more on room. The bed wasn't very comfortable (a little too hard), the breakfast was minimal and the booking indicated a sea view with nice lounge chairs. We were behind another villa so we were unable to see the sea and there were no lounge chairs as promised. The staff were wonderful, very friendly and willing to accommodate any needs. I enjoyed the location, and having a bus stop across the street was great. The room was beautiful and clean.